SHAMc is pleased to launch a new series of virtual classes! 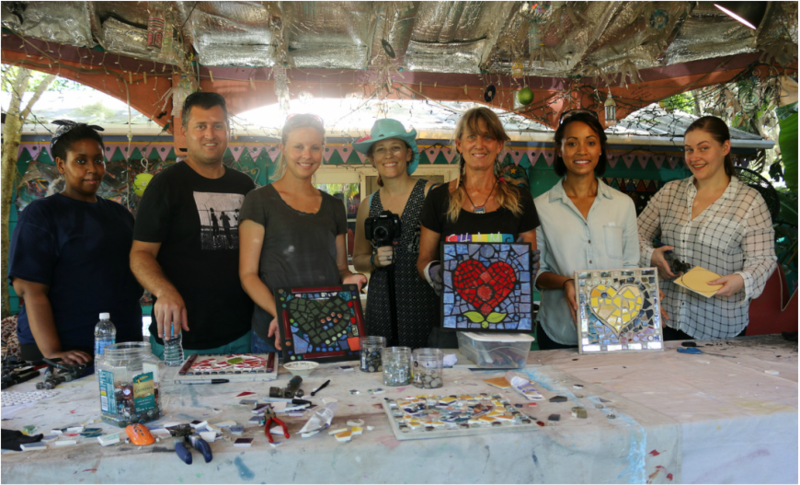 We hope you will enjoy learning how to make a mosaic with Heather Richardson. Heather Richardson Heather has over 30 years of experience creating ceramics, hand painted silk, paintings, mosaics, and mixed media artwork. She leads inspiring community art initiatives including the Safety Harbor Public Library Mosaic Quilt project. Heather has public art installations in Washington State, Maryland, and Florida. As a member of the Board of Directors for SHAMc, Heather has inspired mosaic volunteers to design and complete panels for the SHAMc building. an instructional design team from the university of tampa!